Chairman of the Independent National Electoral Commission, INEC, Professor Attahiru Jega, at the end of a meeting of the commission last Friday, addressed newsmen and announced Saturday, November 30, 2013 as the date for the Anambra supplementary election. According to Jega, the supplementary election will hold in 210 polling units across six Local Government Areas (LGAs) where elections were cancelled. He disclosed that the commission had reviewed the reports of its officers and identified where they did well together with the areas where there were hiccups. In announcing the date for the supplementary election, the INEC boss who acknowledged the misconduct of some of its officials noted that the failure of the aggrieved political parties and individuals to make available substantial evidence to support outright cancellation of the process was the justification for the commission's refusal to invalidate the whole election results. Hear Jega after the INEC meeting: “We regret that in spite of our intentions, Anambra election did not turn out to be the best election that the commission has conducted so far. We regret the challenges that we faced in the conduct of this election. But in our assessment, there is no other decision that the commission can take other than the declaration of the returning officer to conduct a supplementary election in those areas where the results were cancelled before final return will be made. We have examined all the accusations and allegations that have been made and we have come to the conclusion that in spite of the unfortunate minor challenges that we faced, there is no substantial evidence to support outright cancellation of the process. before the election was declared inconclusive, have rejected INEC's decision to go ahead with a supplementary election. The three candidates opposed to INEC's resolution are: Tony Nwoye of Peoples Democratic Party (PDP), Chris Ngige of All Progressives Congress (APC) and Ifeanyi Ubah of Labour Party (LP). They have jointly decried Jega's pronouncement and maintained that they will not be part of the supplementary elections. Countering the position of the INEC helmsman, the trio insisted that they have provided enough evidence to convince the electoral body that the whole exercise was a charade. APC that seems to be championing the demand for an out-and-out annulment of November 16 poll insisted that it has produced more than enough evidence for the electoral body to cancel the election and conduct a fresh one. For the National Chairman of All Progressives Grand Alliance (APGA), Chief Victor Umeh, there is really nothing to worry about on the supplementary election, as he believes that the reason given by INEC for taking the decision was cogent. Umeh expressed confidence that rather than affect his party's victory, the supplementary poll will only end up extending its lead. He said his party's candidate, Obiano has met all statutory requirements to be declared winner of the election, having secured the mandatory simple majority and 25 percent of the valid votes cast in 2/3 of the 21 LGAs of the state. Therefore, to him, the supplementary election is just a mere formality to fulfill all righteousness. Idemili North,” where, according to him, the election did not take place as APC planned to manipulate it. Going by INEC's declared results in 4,400 units, APGA's Candidate, Obiano, polled 174, 710, trashing PDP's Nwoye (94,956) with some 79,754 votes, and APC's Ngige (92,300) with 82,410 votes. LP's Ubah had a total of 37,446 votes to trail APGA with some 140,264 votes. However, the people of Anambra State appear to be contented with the way the election was conducted by INEC in a peaceful atmosphere, except for some irregularities, which they believe are bound to happen as they argue that nowhere in the world can an absolutely faultless election be conducted. For instance, the Catholic Bishop of Awka, Most Rev. Paulinus Ezeokafor said “It will be very embarrassing that somebody after spending a whole day for an election that was peaceful would want it canceled.” The Bishop observes that the election was free, fair and successful, stating that there was no reason for anybody to say that the entire exercise should be canceled. Ezeokafor further noted that the minor hitches recorded in some areas were not sufficient to warrant outright annulment of the poll, adding that no election anywhere has so far been adjudged perfect. Describing those canvassing for total cancelation as “bad losers”, the man of God stressed the need for people to cultivate the habit of accepting defeat in good faith to enable the society to advance and progress. 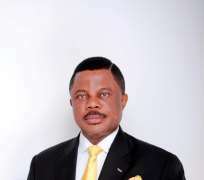 These groups believe that no amount of force from anywhere can change the lead of APGA's Obiano, as they maintained that they have spoken with one voice. free, fair and peaceful. They, therefore, implored those entitled to vote to come out and partake in the forthcoming supplementary poll, so as to complete the process and pave way for the announcement of the winner. Apart from the candidates of APC, PDP and LP, virtually all other political parties that took part in the Anambra guber poll threw their weight behind INEC on the supplementary election. The state chairmen of the concerned political parties said their support, which is unanimous, is in the best interest of Anambrarians. They averred that it will not be in the interest of the state, which is bigger than any individual or body, to quash the entire election as being requested by some people.